6 Nights 7 Days Family Vocational tour to Cultural Kathmandu Valley and Chitwan National Park in Nepal. This trip is one of our favorite trip and we’d be delighted to help you explore this impressive region in Nepal. Are you wondering about what you will achieve from this 6 Nights 7 Days Family Vocational tour to Cultural Kathmandu Valley and Chitwan National Park in Nepal? We are providing you this wonderful family vocational tour package which has come in a form after taking the deifying feedback from our repeated clients. Taking care of the interest of all your family members, this vocational tour package cover the dominant world heritage sites of Kathmandu Valley, Chitwan jungle safari and Tharu culture exhibition. In order to avoid the monotonous of merely visiting the sites, you will be participating in various local activities like making pottery and popular local dish called Mo: Mo and to engaging in Tibetan Thanka painting writing. You will also take an elephant bath and refreshing sports of climbing on a natural rock which is level from basic to professional climbers. In the name of modernization, the unique culture and the tradition of every parts of the world are in a phase of extinction. In this packaged we included places where you will still visit the century back lifestyle and culture of the local people in Kathmandu valley. Nepal is basically known by the great Himalayas and its century’s old trade route which is now form as a trekking route for many adventurous visitors. 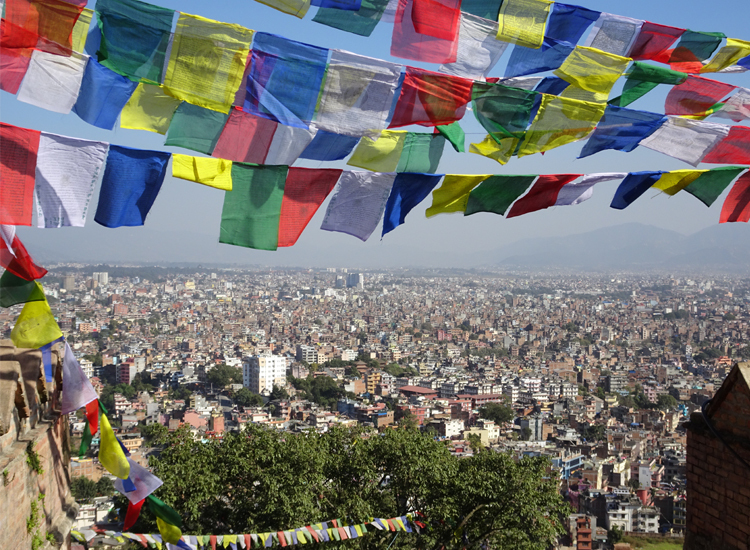 Besides that, you will find the medieval period old artistic and architectural city of Kathmandu Valley. The heritage sites city boast its medieval period (880-1769AD) buildings, Temple, Stupa, Palaces and courtyards which are decorated with a highly skilled art and architecture. Astounding design and the curving on the typical temples and buildings of the old heritage city in the Kathmandu valley clearly reflect the unique culture and life style of the local people. 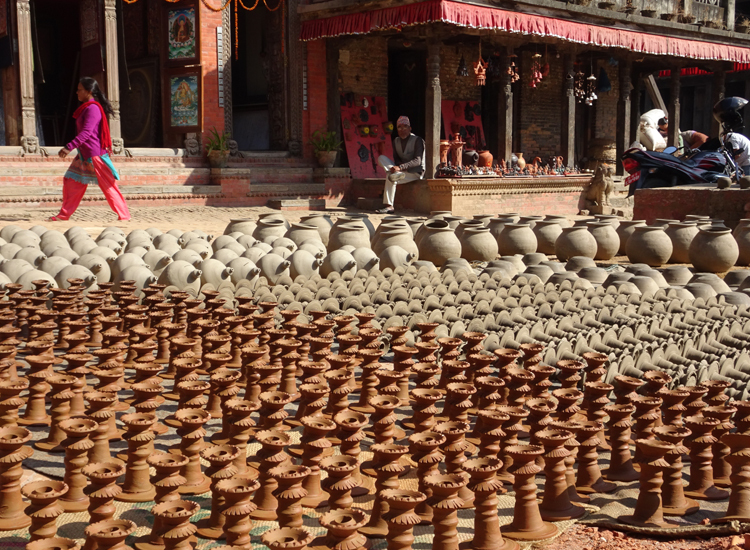 You will also participate in the local traditional process of making pottery and Thanka paintings. Another part of attraction is the Chitwan National Park Tour where you will encounter with the wild life and some endanger animals like one horn Rhino, Royal Bengal Tiger, and Ghariyal crocodile etc., which are protected in the area of Chitwan National Park. Riding on the elephant back and jungle safari with mahout will experience the mesmerizing sight and environment of the wild life in Chitwan. The place is also add up with the local cultural dance and the slide show to provide facts and information about the Chitwan national park and the local surrounding. 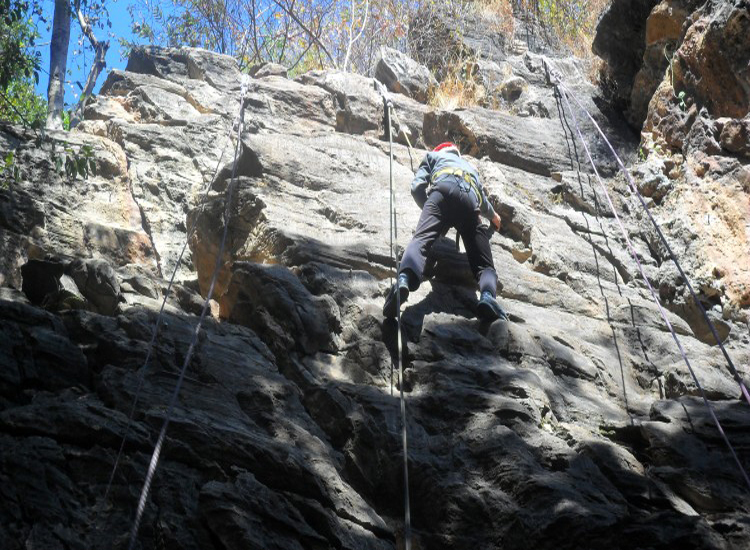 Before leaving Kathmandu valley, you will experience the adventurous rock climbing at Nagarjuna which suit for all the level of climbers. 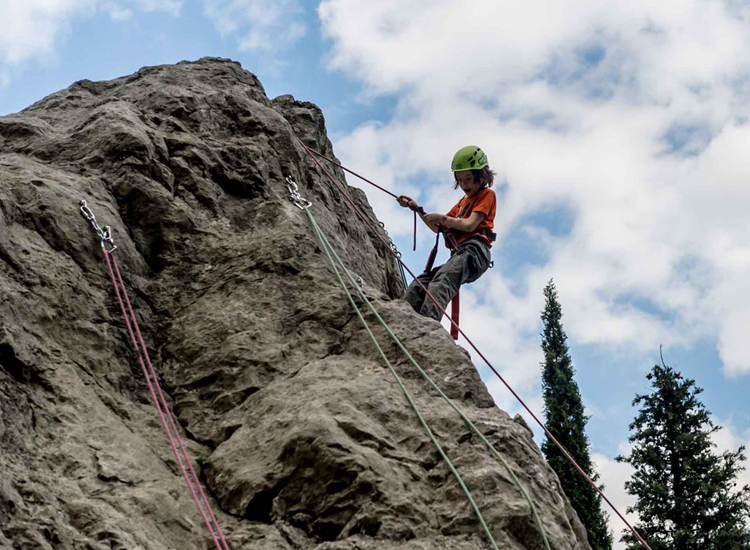 Rock climbing is a truly best sport for the children. Heritage sites of Kathmandu Valley including Swayambu Stupa (Monkey Temple), Bhaktapur Durbar square and Boudha Stupa. The city of Kathmandu valley is also known as the open museum because you will find temple with fine art and architecture every corner and side of the road. The UNESCO world heritage sites that you are going to visit possesses the story and culture of the valley from its beginning. 08:30 Your city guide will receive you from the hotel and your sightseeing program will starts. Your sightseeing program will start from the cultural and heritage sites city of Bhaktapur (the city of devotees) which is 15.7km from the Thamel. Here you will see the authentic culture and tradition of the typical Nepalese. The city is rich in its wooden and metal art and architecture curved on the struts, window and door of the temples, palaces and religious school called Bahal. Bhaktabur features the five storied temple of Nayatapola which is the tallest temple in the valley, Golden gate which possess a fine art of century back value, famous among Asian level art and the Juju Dho (famous local curd). The city has lots things to explore that cover the lifestyle and activities of the people, various shops of handmade artifact and unique item, and pottery square where you will see the traditional process to produce the pottery item. 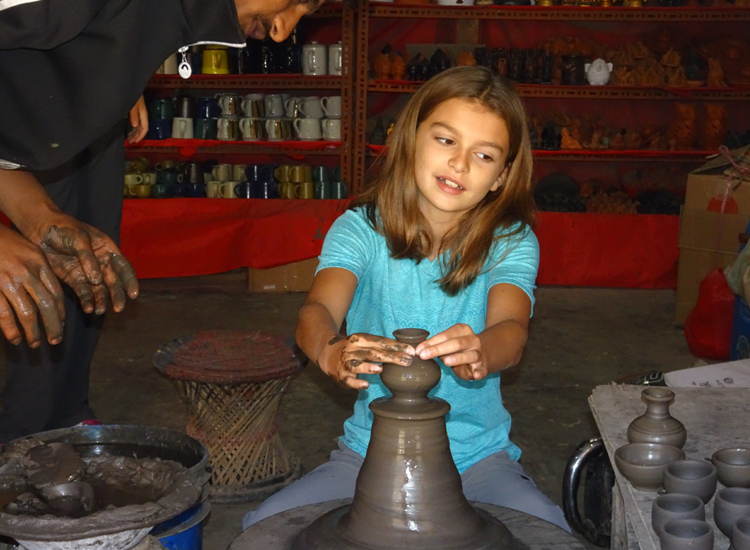 We participate you in making pottery with traditional way to experience the local culture. You will have 45 min lunch break and continue to Boudha Stupa which 13km from the Bhaktapur Durbar square. The evening scenario of the Boudha Stupa is phenomenal. Taking rest with a cup of coffee and glass of juice on the roof top restaurant and enjoy the calm and peaceful ambience. Boudha stupa is one of the largest stupa in the world forming a religion and culture hub for the Tibetan and people from the Himalayas of Nepal. Early in the morning and evening time, the Tibetan man and women carrying praying beads and wheel in their hand and circumambulating the stupa. Small peripheral of the stupa is surrounded by the Thanka and rituals objects shop. The spot is favorable to explore both the culture and architectural sites. After finishing the day tour, your guide will drop you at the hotel and you have a free time to explore Thamel area or engage in your own activities. Your next day program is to travel Chitwan. You will drive to Chitwan at Sauraha by Tourist bus. Normally, in order to get in Chitwan, there is land and air options. From Sauraha bus stand the representatives of our company will pick you and transfer to the hotel. There you will get the detail program briefing and allocate your room. 15:00:The guide take you to the village tour and explain about the unique nculture of the Tharu people and art and design of the local house. Then next visit to the National Park Visitors’ Center, where you will get information on history and the wildlife of the National Park. In the evening, you enjoy enjoy your free time on the bank of the Rapti River with sunset view. 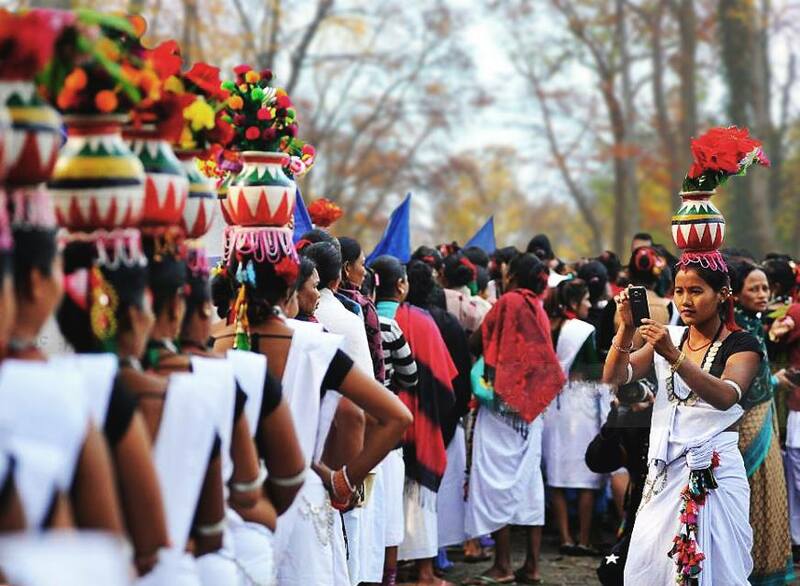 Tharu community has organized cultural dance for the visitors. There is a community hall showing the slide show informing the knowledge about the wild life of Chitwan National Park and the culture of the local people. You will participate in a cultural group dance which is at the end of the cultural program. The morning environment of the Sauraha is very refreshing as you will hear the chirping sound of the birds which indicate the beginning of the day. The guide will take you for the canoe ride on Rapti River and don’t miss the sites of 2 rare species of crocodile: the Marsh Mugger and the fish eating Gharial. The narrow boat on a silent river will take you to another bank of the river and leave there. From there hiking inside the jungle start and next reach to the elephant bath place where you ride on an elephant and it will splash water towards you. 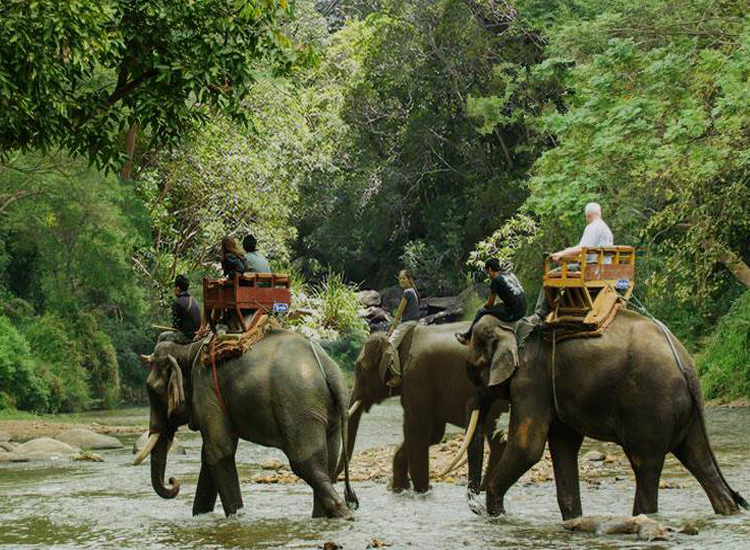 15:00: Jungle safari on the elephant back will be the indelible moment for you. 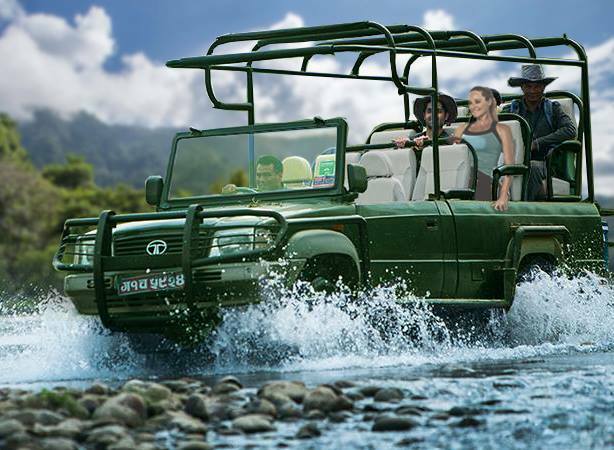 The mahout will take you to the places where you could see the endanger animal which include four different kinds of deer, rhinoceros, wild boar, monkey, leopard, sloth bear and the Royal Bengal Tiger (If you are lucky). The ambience of the forest is photogenic and you also overview glimpse of other mammal which reside there. Grabbing the last morning opportunity in Chitwan, you will bring to visit the Government Elephant Breeding Centre. You will see small baby elephant to giant old elephant over there. Then returning back to the resort and getting on the tourist bus to Kathmandu. Our representative will assist you for it. Later getting to Kathmandu you have free day. There is flight options too while return back to kathmandu. 8:00: we will drive to Swayambu is the best time to visit in the morning time as you will get a spectacular view of Kathmandu valley from the hillock. 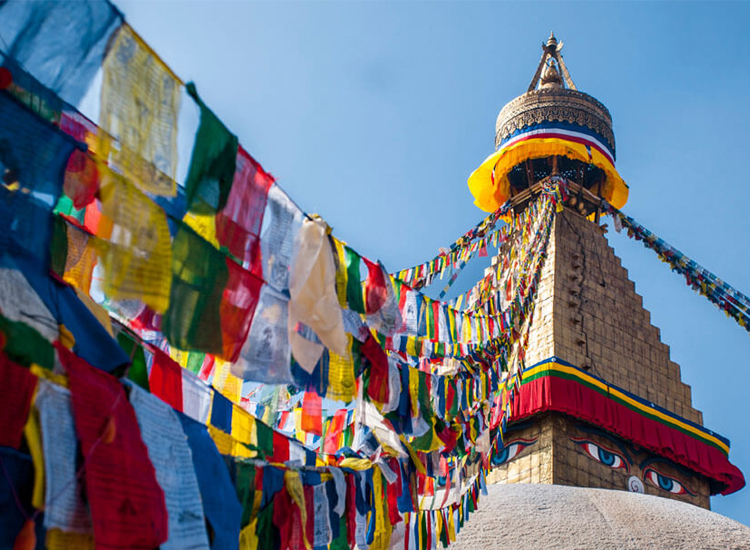 Listing in the UNESCO world heritage sites, Swayambu stupa is particularly famous among the Newari Buddhist but one can see both Buddhist and Hindu devotees praying together. 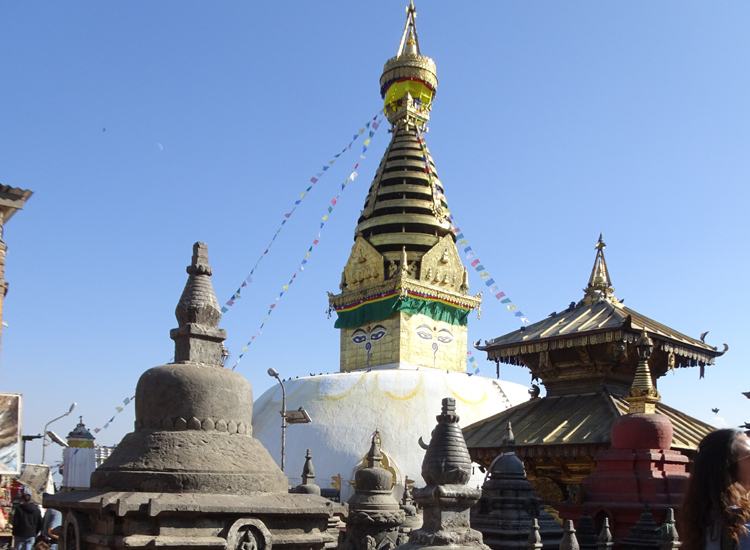 According to the Swayambu Puran (the book which describes the story of Swayambu), the origin of Swayambu stupa is related with the beginning of inhabitants in Kathmandu Valley. You will see the people from Himalaya in a Tibetan cultural dresses circumambulating around the hillock. We continue drive to Shivapuri National Park at Nagarjuna forest Nagarjuna Climbing Center. Nagarjuna Climbing center, 45min of drive will bring us to climbing Center. Your climbing starts with the short session of training by the professional lady climbing guide. You will ascend more than 21 routes about 55m high on a dizzying limestone cliff. All the climbers are safely assist by the climbing guide and you will experience your inner strength. We offer lunch and tea for the refreshment. After we return to hotel by private transportation. Note: This trip you can make exclude too. 01 large duffel bag: The Luggage is for to carry all your personal gear on the tour. Should be strong and durable. The best size would be around 30" x 14", with a full-length zipper and handles. Dont bring with you the US$ currency series number below the 2003, to much folded and torn. These notes do not accept neither money exchangers nor by bank. You will get appreciate exchange rate with the notes of the USD100 and USD50.